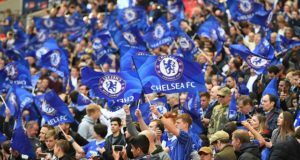 Home / Opinions / Are Chelsea in Danger of Becoming a Selling Club? in Opinions May 27, 2014	Comments Off on Are Chelsea in Danger of Becoming a Selling Club? 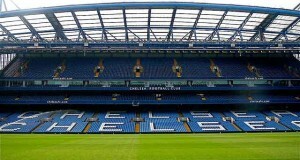 With the recent sale of David Luiz to Paris St Germain, some have begun to question whether Chelsea are a selling club. With rumours of other possible transfers too, this viewpoint does begin to hold some sway. If Eden Hazard does leave, this would surely be a huge blow to Chelsea. Many will start to seriously ponder whether Chelsea have become a selling club. Still, Chelsea are not a selling club in reality. Southampton is an example of a selling club. For years they have churned out top quality players and sold them on. Chelsea, in contrast, are a club who rarely sell their key players. Jose Mourinho was not keen on David Luiz from the moment he moved to the club, and the Brazilian very nearly moved to Barcelona last summer. Mourinho did not consider him to be an important player, and subsequently, the transfer to PSG should not come as a surprise. Another player who was not in Mourinho’s long-term plans when he arrived back at Chelsea last season was Juan Mata. Mata was sensational for Chelsea in the 2012-13 season yet Mourinho was not convinced, and stubbornly refused to acknowledge that his initial assessment of Mata may have been wrong. What this demonstrates is that Chelsea generally only sell players if such players are no longer in the long-term plans for the team. Of course the selling of Eden Hazard would possibly signal something afresh in Chelsea’s selling policy. 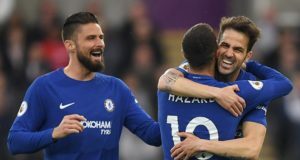 Nonetheless, Chelsea are not a selling club of the typical definition, and primarily are a club who keep hold of their most prized assets.